Eastern Partnership Civil Society Forum (EaP CSF), its Ad Hoc Belarusian National Platform Committee and Belarusian Independent Bologna Committee (BIBC) have just released a Report on Meeting the Targets of the Work Plan for Implementing European High Education Area (EHEA) Tools in Belarus, referred to as “Work Plan 2018”. The report coincides with the Bologna Follow-Up Group (BFUG) Meeting on 12 February 2019 – and draws on six earlier reports, monitoring the implementation of the Belarus Bologna Roadmap in 2016-2018. Despite “milestone decisions” being made by the Belarusian Ministry of Education in 2018, the general pace of reform has been slow, claims the report. Moreover, the issue has been linked to lingering lack of transparency and limited academic autonomy in Belarus. “Transparency remains a challenge to which Belarusian higher education is not able to answer yet”, sums up the report. This explains why there are no conclusive answers to some of the points on implementation, listed in Work Plan 2018. In its depth analysis of more than 20 points, the report finds that the original “tasks and targets were not ambitious and could not instigate significant reform of the higher education system”. Even so, “the modest tasks were not implemented in full” – regardless of whether the changes needed a change of legislation or not, the next big question. The report is clear: for Bologna reforms to go ahead, “the Strategic Action Plan will require amendments to the Education Code”. Here, the authors expect major obstacles as “the lack of legislative initiative can block the implementation of a number of Strategic plan provisions in the future”. “It is important to note the implementation of Bologna tools and values has not (yet) been supported within the highest political circles”, states the report, pointing to the root of the problem. 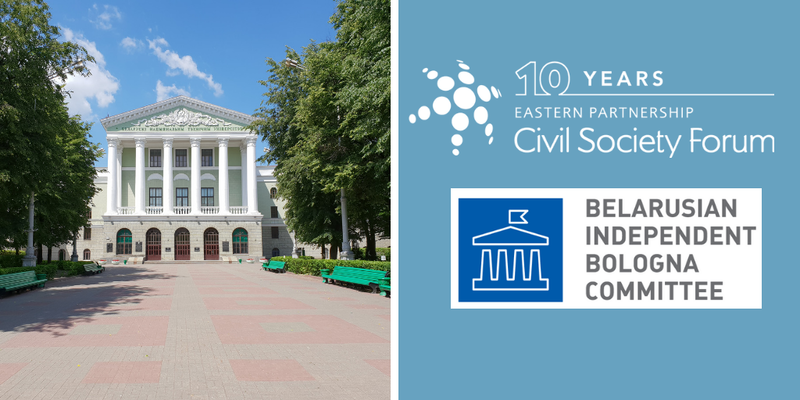 EaP CSF will push for efficient oversight over implementation in the future – and anticipates that the new annual Work Plan, will include detailed actions on the Council of Europe recommendations and indicators for increasing inclusiveness of Belarusian higher education.